1. Preheat oven to 350 degrees. Spray a 9x13 inch baking dish with cooking spray. 3. Spray a large skillet with cooking spray and heat on medium-high. Saute onion and garlic for 3 minutes, or until onion is tender-crisp. Stir in broth and rosemary; bring to a boil. Stir in artichoke hearts and spinach; reduce heat, cover and simmer 5 minutes. Stir in pasta sauce. I love my husband! It is not often that Mike is able to truly surprise me with gifts. The only reason is because I am in charge of all our finances, so I'm aware (pretty much on a daily basis) when money leaves our checking account or is charged to our credit card. But yesterday Mike was able to surprise me with the new Amazon Kindle! For those of you who don't know what it is, it is an avid readers dream. 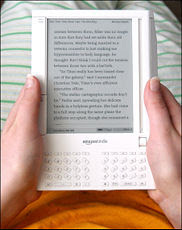 Last Friday, Oprah revealed the Kindle on her show as her new favorite thing. I was immediately hooked. Luckily I had DVR'd her show. So after I watched the segment on the Kindle, I rewound the show to the beginning, paused it, and left it cued up ready to play for Mike once he got home from work. After Mike watched the show, I knew that he realized just how much I would like a Kindle (I don't usually get excited over electronics, but this little machine was making me bounce around and giggle like a little girl). Since they are pricey I figured (if I was lucky enough to receive one) I would probably be getting it for Christmas, but no big deal because I still have a whole shelf of books at home that I can read between now and December. Christmas came early:) I love it! What a great surprise. Thanks honey, you're the best! I wanted to share with everyone this yummy vegetarian recipe. I have fixed a few dozen veggie recipes and this so far is my favorite (it is from allrecipes.com). Enjoy! 1. In a large nonstick skillet, saute the onion and garlic in oil until tender. Add the lentils, chili powder, cumin and oregano; cook and stir for 1 minute. Add broth; bring to a boil. Reduce heat; cover and simmer for 25-30 minutes until the lentils are tender. Uncover; cook for 6-8 minutes or until mixture is thickened. Mash lentils slightly. 2. Stir in salsa. Spoon about 1/4 cup lentil mixture into each taco shell. Top with desired taco toppings. Now that the cooler weather looks like it is here to stay I decided it was time to decorate. As most of you know from a previous post, I love fall. I especially love to decorate for the season, but I just can't make myself decorate when it is still 80 degrees out. This past weekend the weather was perfect for decorating. I guess I should start out by thanking my wonderful husband for at least pretending like he is interested when I am doing something girly & creative. Our weekend started out on Saturday by heading downtown to the Farmer's Market where we could buy pumpkins and mums for my planned decor. We get to the market and are surrounded by pumpkins and gourds galore, but absolutely NO mums! Zero, zilch, none what so ever! 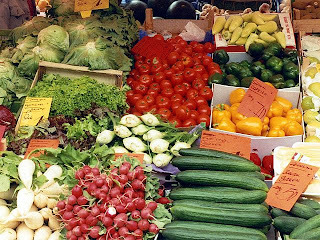 So I hid my disappointment and kept a smile on my face, after all I have dragged my husband to the Farmer's Market on a Saturday. We picked out all the pumpkins and loaded them in the car, made a few other purchases, and headed home. Once at home Mike tells me he has to take a nap before we can do anything else. I oblige and take some time to relax myself. After about a 30 minute nap we get back in the car and head to Lowe's hoping that they have mums. Thankfully Lowe's had a few left. I definitely learned not to wait so long next year to purchase mums. It's just not fall without mums:) Once back at home we unloaded the car, potted the mums, and placed the pumpkins. Now we have come to Sunday. After church and a bite to eat I knew I needed to clean/gut the pumpkins so they could be carved. But I had one dilemma, and it involved Sunday Football! I didn't want to clean the pumpkins by myself, but after everything Mike did with me/for me on Saturday I knew I couldn't ask him to give up his football. So I came up with a compromise...If Mike would agree to help me, I would set up a table in the middle of the living room to clean and carve the pumpkins so Mike could watch football. That is what we did. Mike helped me clean all 9 pumpkins. What a man! So here are some pictures from yesterday's "Pumpkin-Palooza." 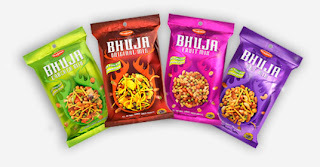 Bhuja Snack Mix- My mom actually found this snack mix in Whole Foods when she was here visiting. There are four different mixes and they are great! especially for people who love Indian Food. They are a little pricey (around $4.00/bag). So it definitely won't be something I keep stocked in the pantry, but it doesn't hurt to splurge every once in a while. 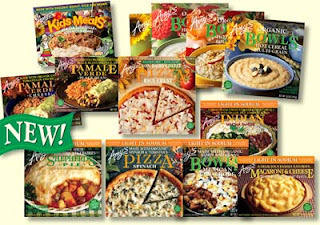 Amy's Meals- These are great since I am eating only a vegetarian diet I can grab these in the stores and don't have to worry about what is in it. They are also very tasty too. I haven't found one of the meals that I haven't liked. The only downside is they can be expensive (around $4.50/meal), but I only buy them when they are on sale. If you haven't tried either of these, you must! 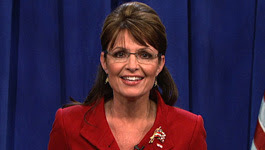 Most of you know that I am not a supporter of Sarah Palin, but I have to give her credit for her performance this past weekend on Saturday Night Live. She was really funny! If you didn't get to see SNL you have to watch the Opening Skit and Weekend Update. Kudos to Govenor Palin! With all the media attention and water cooler conversations I don't know how anyone will let November 4th come and go without remembering to vote. I just wanted to remind everyone that early voting is going on right now. 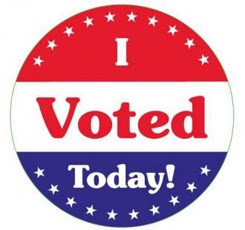 I went and voted this afternoon and the whole process took about 8 minutes total. It was so easy! 20. THE CHRISTMAS VILLAGE at Nashville State Fair Grounds!!! Hope everyone has a very happy Fall! When I read a great book I have to tell everyone I know. 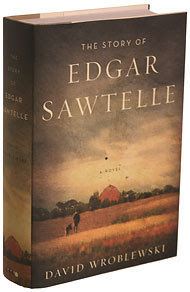 A couple weeks ago Oprah announced "The Story of Edgar Sawtelle" by David Wroblewski as her new pick for her book club. As mentioned in previous posts, I love to read and I especially love the books that Oprah picks! As I was listening to Oprah describe this book I new immediately I would be heading to Borders to make a purchase. I am not going to give anything away, but those of you that are interested in possibly reading this book I will pass along the two things Oprah shared with her viewers. First, DO NOT read the insert of the book. She says it gives away to much of the story. I finished this book about a week ago and still haven't read the insert. The second thing Oprah said was that if you are a dog lover you will love this book (and it is true). The book just holds special meaning for those of you that are dog owners/lovers. Please hear me when I say you don't have to be a dog lover to really appreciate this book, but if you are it makes it that much better. This book is 562 pages and I finished it in four days. I couldn't put it down. If you have read it I would love to hear your comments about the book. To any others that might read it, I hope you enjoy! Here is something I bet most people don't know about me...I am a vegetarian! I want everyone to know that this is not going to be some "come jump on the band wagon" type entry. This is a personal decision that I have made. Mike is still eating meat, and I don't think any less of him or anyone else that does. I decided a few weeks ago that I would try to make a life change and become a vegetarian. Before starting this journey I wanted to make sure it was something that was right for me and I also wanted to make sure it was something that I did correctly and wholeheartedly. So this entry has a two fold reason. One is to explain myself and beliefs, and two is to help give any guidance or information for others that think this is a way of life they would like to try. Reason #1: Mike and I have been transitioning to all organic products. It has been a slow transition and we still have a lot to go. But the one item that Mike and I were at a standstill on purchasing was organic meat. He said it was too expensive and I thought that the health benefits outweighed the cost. So I bought a vegetarian cookbook and figured I would cook primarily vegetarian so we could buy/eat all organic. Reason #2: Mike and I have been checking out documentaries from the library. They have a great selection and the best part is that they are FREE! A few days after I bought the vegetarian cookbook, one of the documentaries that I brought home was called "I Am Animal: The Story of Ingrid Newkirk and PETA". I am an avid animal lover and I knew of PETA, but I didn't really know what PETA was. So I thought I would watch this documentary to expand my knowledge on animal rights. As soon as I brought it home Mike said he was not going to watch it. So I watched it by myself. I am glad I watched it, but at the same time I wish that I hadn't. It was very disturbing, but also very eye opening. When I think of animal rights I think of puppy mills or household pets that are being starved or mistreated. Before this documentary I have never thought of the chickens, turkeys, pigs, & cows that we all eat everyday. I have never thought about how they are raised, treated, & killed. This documentary didn't go into too much detail about the slaughter houses of farm animals (thank the Lord! ), but it did show just enough clips that I know I don't agree with it. This film also made me realize that I don't want to do anymore homework or research on the cruelty treatment of animals because what little they showed was so horrifying to me. So after watching this documentary I had made a decision to try out the whole vegetarian thing. So, for a month now I have been a successful vegetarian. Luckily Mike and I are not picky eaters and we are willing to try everything (that includes tofu and lentils- which are really yummy:). I am really impressed with all the vegetarian recipes that are floating around on the Internet. There is a ton of variety and they are all really flavorful. I have found some really great vegetarian entrees that I will share in later posts. So far my experience has been a positive one. I haven't really been able to find any cons to being a vegetarian. The best tip I can give is to make sure you plan your meals ahead. That way when you go grocery shopping you will be able to buy everything you need for the week. I was used to being able to pull chicken or turkey from the freezer if I was in a pinch. Now I've learned to be a little more creative, especially when it comes to using leftover produce before it goes bad. Eating out at restaurants hasn't been difficult at all. There is normally plenty of items to choose from on most menus. If a restaurant doesn't offer a vegetarian entree, then I usually eat salads, soups and sides such as sweet potatoes, baked potatoes, and steamed veggies. I am starting my fifth week of being a vegetarian and I feel great! I sit here now and think "4 weeks without any meat, wow!" I am now trying to educate myself on being a healthy vegetarian by researching on the Internet and reading a ton of books. So if anyone has any pointers I would love to hear them.